Orkney was a major base for the Royal Navy in both World Wars. Published to tie in with the centenaries of the Battle of Jutland and the sinking of HMS Hampshire in 1916, the book provides an account of the principal naval events, locations and legacy of the two World Wars in and around Scapa Flow. Unusually for books in the Picturing Scotland series, but necessarily for this title, the book contains a mixture of black and white archive images alongside present-day colour pictures. It also has more text than usual in order to describe the crucial events and developments that are the subject of the book. 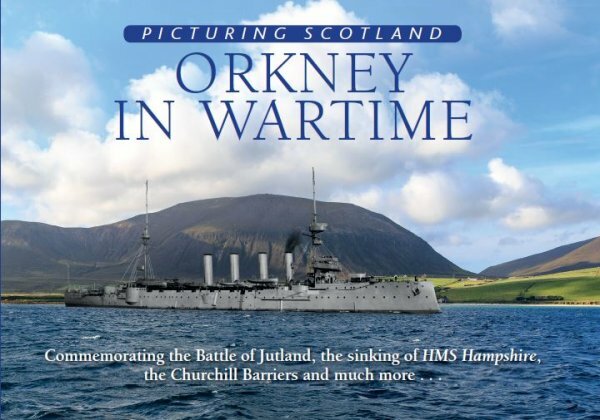 Although published to coincide with the commemorations of the centenaries of the events mentioned above, the book is not a dated product and will continue to feed into the growing interest in Orkney's military past. The idea was suggested by Orkney people who understand this market.